Tomorrow, Volume is here. That’s right, two music-packed days featuring nearly 100 bands spanning nine downtown locations. It sounds crazy, we know, but we’re up for the challenge. To prepare mentally and physically for this fantastic event we’ve put together a couple of pointers for you. We can’t wait to see you all there! 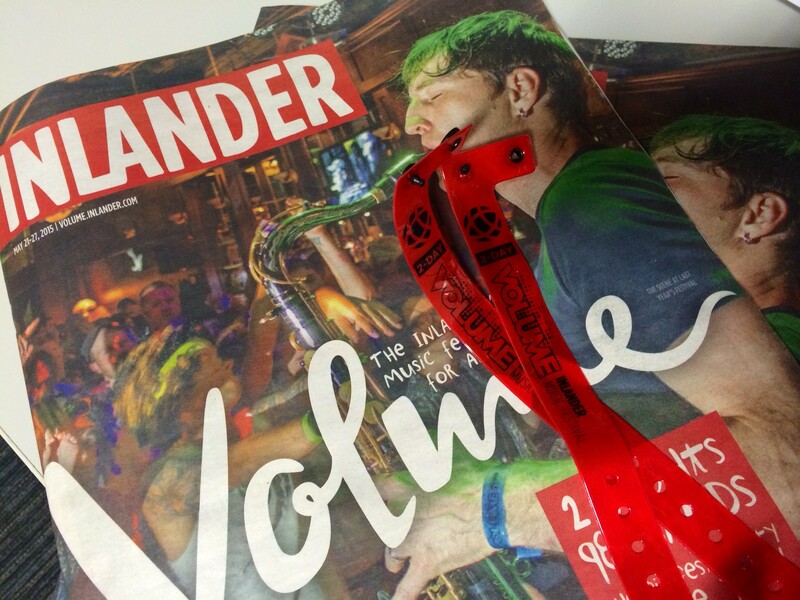 Today is the last day to buy wristbands online at volume.inlander.com or at the Inlander office for $20. Otherwise buy them at the festival tomorrow at the Volume headquarters tent at Sprague and Washington from 5-9 pm Friday and 5-8 pm Saturday. Will Call tickets are also held at this tent. Friday, the cost moves to $30 for both nights or $20 for a single night, and we’re taking both cash and credit card at the Will Call/Volume headquarters tent. Access to all Volume music venues, the circulating party trolley and special deals at select Spokane businesses. The full up-to-date schedule is here. Most exciting, you can make your own lineups on our website just by making your own account. Then at the festival, pull up your schedule on your phone. Check out our curated lineups, such as the best bands to dance to and let loose to here. Use the #Volume509 hashtag or #INVolume on Twitter and Instagram to share what you’re up to. Follow us on Twitter at @TheInlander and get updates on shows and venue lines on the Inlander and Volume Facebook pages. It is physically impossible to see every single band playing this year, but , if you’re like us, you’ll try to see all the acts anyway. This year, we have bands making everything from funk to hip-hop, Americana to soul. While Volume is a celebration of local acts, there’s also regional and national talent flying in for the event. We highly recommend checking out this year’s Bands to Watch … and everyone else. Footwear is the biggest thing here. Wear shoes that you can comfortably run around in. Other than that, it’s all about feeling good — and probably don’t wear anything described here. In short, those under 21 can see any show at the Bartlett, Pinnacle Northwest and the Big Dipper, and shows until 9 pm at Neato Burrito. Also, the Som & Cheddar Chad Soul Brunch at Boots at 10 am on Saturday is open to all. That event features DJs Breezy Brown and Supervillain. Volume T-Shirts ($20), drink specials at venues (ask the bartender) and band merch.